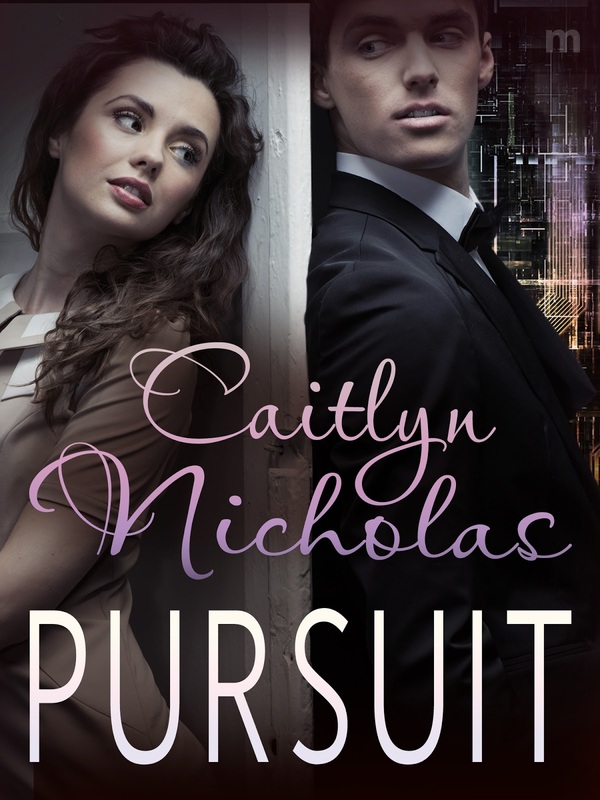 Today my guest from the Blogger Book Fair is Caitlyn Nicholas with details about her forthcoming book PURSUIT, which is published by Momentum Books and comes out on the 1st August this summer. Legendary hacker, Dimity Pond, is on the run from the law. Her landlord’s sold her home, her money has disappeared along with her two-timing husband, a cyber-terrorist named Nemesis is forcing her to wreak havoc with a nasty virus and she's developing a vile migraine. Six years ago, Nemesis framed Dimity for the collapse of one of Europe's biggest banks. The money was never found, and the bank's failure caused untold damage to its customers. She's been living under the radar ever since. The only way she can clear her name and live a normal life is to uncover Nemesis's identity, but he's always one step ahead. Since Lord Richard Summerhayes left the Special Forces he's built the best disaster-recovery network in the world, known as The Bunker. Banks, militaries, airports and other major systems around the world rely on him as the last unshakeable digital fortress in the face of disaster. Richard has been keeping an eye on his neighbor who has a dubious hacking past. He doesn't like hackers, and when someone nukes his network with an intriguing new virus he knows exactly who to blame. But when he confronts her, he gets a whole lot more than he bargained for. When Nemesis commits an unthinkable act of terrorism, the last hope is an encrypted file that only Dimity can crack. Will Nemesis manipulate Dimity into helping him wipe out the world's biggest financial center? Or can Richard and Dimity take Nemesis down once and for all? “My name is Susan Kiffler.” The woman had a cultured English accent that perfectly matched her outfit. The woman scrabbled around in her gigantic mauve handbag. “This is a photo of me and my husband, Jake Kiffler, on our wedding day.” She held out a picture with a hand that shook. Not just trembling, but shaking, like an online gamer at the end of a forty-eight hour session, down to his last quart of caffeinated beverage. Dimity took the photo from the trembling hand and stared at it, trying to make out what it meant. A stunned, sledgehammered feeling made it hard to concentrate. Thoughts skittered out of her grasp and fragmented, like the smashed mug. Jake was the groom who smiled at her from the photo. “He said it was a disaster, that his first marriage only lasted a few months.” Dimity lifted her chin and narrowed her eyes. Jake knew her secrets. He’d helped her create a vague sort of life. Hiding. Isolated. “Jake Kiffler and I have been married for eleven years.” The woman pulled out a piece of paper and waved it at Dimity. It was a wedding certificate. “We’re not divorced. He’s still my husband.” She pointed to his name on the paper, then put it carefully away. Caitlyn Nicholas began writing in 2005. Exhausted, pregnant and coping with a demanding toddler, she decided the time was right to embark on a writing career. To her family's eternal startlement she is now the author of five novels and a short story. Her debut novel - and the first manuscript she had ever written - Running Scared, was published in 2007. This was followed by Secret Intentions in 2009, The Danger Game in 2012 and, Drive Me To Distraction, also in 2012. 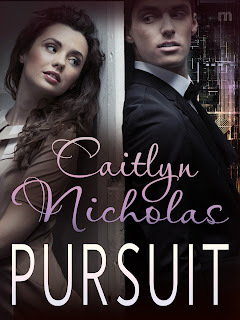 Her next novel, Pursuit, will be out in August 2013. Thanks for coming to visit and best of luck with your book launch Caitlyn - it sounds like an intriguing read!